Get 1-to-1 Coaching Directly from Price Headley! For any type of trader, trading with consistency and confidence is imperative to long-term success and establishing your trading goals and writing a clear trading plan is the best way to accomplish this. But this is only the beginning. While understanding yourself and what you want to achieve is fundamental to good trading, you also have to be versed in a wide variety of trading strategies, trade management and psychology rules and technical analysis techniques to give yourself the best possible platform to reach your personal best. At BigTrends, we want to help guide your trading progression over the long haul and in our brand new Triple Crown Coaching program, members will be able to Plan, Learn and Execute a variety of trading tactics with direct support from both Price Headley and your small class of fellow traders in a structured and collaborative environment. 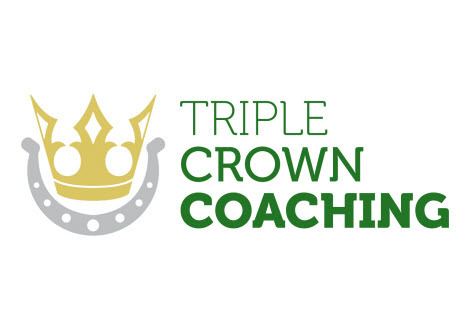 As the name suggests, there are three "legs" to Triple Crown Coaching with live weekly execution classes on Friday mornings (Winners' Circle), archived learning sessions (Weekly Inner Circle) and monthly 1-on-1 sessions with Price Headley (Personal Best) to fine-tune your knowledge and tailor the learning and execution elements to fit your personal needs. Weekly Winners' Circle - As a member of Price Headley's Weekly Winners' Circle, presented LIVE at 11 AM ET every Friday that the markets are open (with HD archives of each session available for 3 months), you will see how Price finds and executes trades across the full gamut of options strategies to make sure you're really "getting it" when it comes to making better trades on your own. During these sessions, Price focuses his teaching on helping you use technical indicators to uncover hidden gems in the market and also recommends at least two live trades per week to give you the experience of executing your own trades alongside a seasoned professional. Weekly Inner Circle - Aside from your practical classes on Friday, members of Triple Crown Coaching will also gain lifetime access to Price's Weekly Inner Circle classes. These sessions, recorded over the course of 2017, are split into 4 separate educational tracks, including: (1) Trading Fundamentals and Market Analysis, (2) Technical Analysis Techniques, (3) Essential Options Strategies and (4) Trading Psychology and Risk Management . Each session contains at least 60 minutes of in-depth trading education with the BigTrends Coaching team available to answer any and all questions you may have about the content. Personal Best - While the weekly Learning and Execution classes are critically important to becoming a better trader, we strongly believe that it isn't quite enough to reach your Personal Best. That's why members of Triple Crown Coaching will also receive a monthly 1-to-1 session with Price Headley to focus on targeted aspects of their own trading in order to add a more specific, individual and above all personal platform to attain your trading goals. These sessions are organized at a time that suits you with the HD recording of your sessions available to you for life!